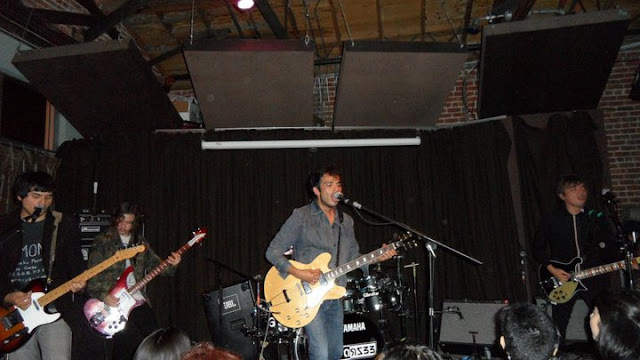 Los Bunkers – Traveling To Mexico, Chile, The USA And Beyond! 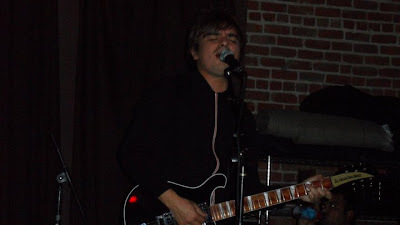 Last Wednesday I embarked on an adventure to gorgeous San Francisco to check out a band from Chile called Los Bunkers. They were going to perform for the first time in San Francisco and the chosen venue was Brick & Mortar Music Hall. As soon as I arrived to the venue it looked quite familiar and then I realized that the venue used to be called Lavende Lounge. I had not been to the place in years and I was happy to find that it had turned into an intimate music venue. Los Bunkers (a Chilean band) were playing the third of a set of five shows from their US tour, the band was also one of the few Latin bands that played the internationally known Lollapalooza music festival in Chicago. Los Bunkers sound is very reminiscing of those bands from the 60’s (think The Beatles type of sound.) 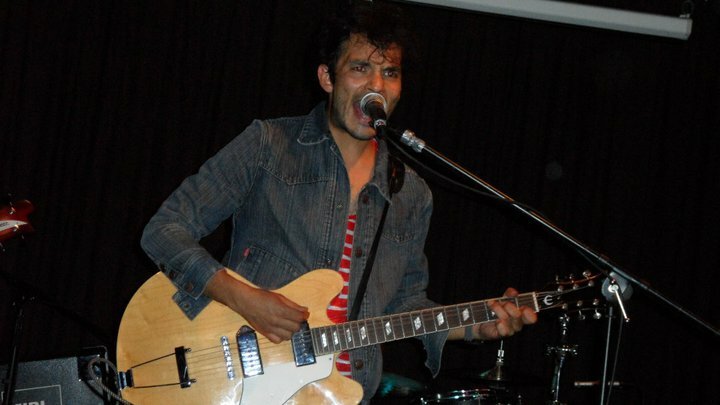 Although they are from Chile, the band has paved quite a successful career in Mexico. They’ve worked with Meme from Café Tacvba who produced their latest CD titled Música Libre – comprising of covers from Cuban singer Silvio Rodriguez. The fans from San Francisco were ready for the show, the opening set was in charge of local Bay Area band Kavarzee. As soon as Kavarzee’s set was over, the crowd went wild – applauding & singing alongside the band. It was a memorable show for Los Bunkers as well as for their faithful fans. I (sadly) had to leave the venue before their set was over. The show unfortunately started later than planned because the band ran into a lot of traffic coming back from their gig in Santa Barbara. I had to catch the very last BART (Bay Area Rapid Transit) train back to my house so I rushed out the venue right before midnight. I was even sadder because I had scheduled an interview with the guys after the show was over and due to the timing conflict I was unable to do it. After the band’s successful tour in the US, they are back in Mexico getting ready for the up-coming show at the Teatro Metropolitano in Mexico City, one of the most important music venues in Mexico. If you get the chance to see Los Bunkers live, please do, they do not disappoint! I also highly recommend Brick & Mortar Music Hall. It is freeway and public transportation friendly and very centrically located. If you are into Spanish music, Hello Seahorse will be playing at this very venue on September 15th, so it is a good option for you music lovers out there.